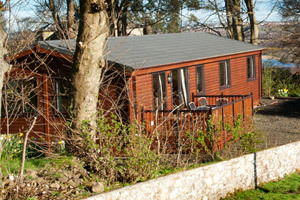 Thank you for your interest in our holiday cottages at Benarty. To book, please contact Barbara Constable using the details below. In the table below the prices for the cottages are listed, dependent on the time of year you would like to visit us. The change over day is flexible, we are normally able to offer the holiday cottages from any day to the same day the following week. 30% deposit is required by return to confirm booking. Balance payable in week prior to arrival. Meters are read on arrival/departure. Bedding and towels are provided. 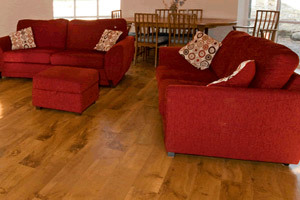 We can offer short breaks but there is a minimum charge. 3 bedroomed converted former horsemill all on one level and wheelchair accessible. It has a spectacular circular lounge with dining area (this is where horses used to walk round to drive the machinery). 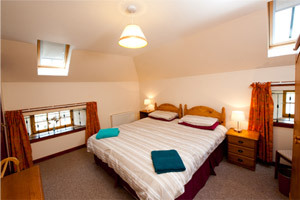 Converted former stables consists of 3 bedrooms sleeping 8 (1 Double with en-suite, 2 Triples). With 4 bedrooms sleeping 7 (1 Double, 2 Twin, 1 Single), this log cabin style accommodation has an open plan living and dining area with veranda, outside seating area and views of the beautiful surrounding countryside. 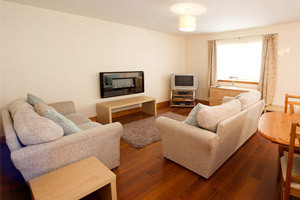 Situated 5 minutes from the centre of Aviemore, this 3 bedroomed flat is an ideal location to base your holiday in the Highlands. It is very convenient for buses, station, restaurants, Tesco etc. ©2016 Benarty Cottages. All Rights Reserved.